The Bible tells us that “God is Love.” The Holy Spirit, Who is always drawing pictures for us, graphically demonstrates this truth in the Hebrew spellings of “Father” and “Love.” He is so adamant that we understand this truth, He is not content merely to tell us: HE SHOWS US! Hebrew reads from right to left and is a form of picture writing, like Chinese. The word pictures God uses to spell words give us a glimpse from His perspective. What you will see in these word pictures are things that you’d never get from any definition. [א] aleph is a picture of an ox. It signifies sacrifice and leader as well. The word Abba is a picture of Jesus as the aleph [א] head or leader of the [ב] bet-house. 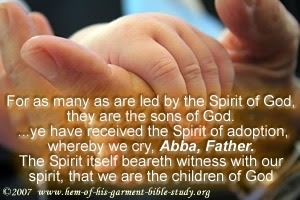 Abba Gave Us His Heart! Grace, however, is not a doctrine: It is a Person: Jesus. He is the greatest BLESSING the Father has ever given us! You can clearly see from the spelling of this word that when He died on the cross, it literally ripped our Father’s heart out! What a visual! 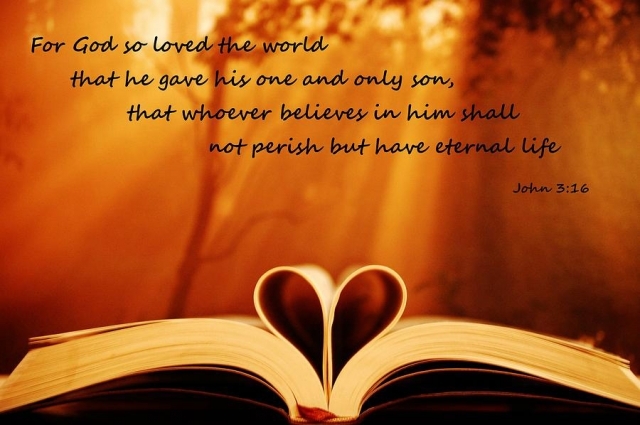 Without the Father and The Son there is no “Love.” Abba really IS love!